Natalie Choate, a member of Nutter’s Trusts and Estates Department, discussed how IRAs are attracting the attention of the IRS due to recent changes which give the tax agency a window into the IRAs that may be coming up short—large accounts containing hard to value assets, with owners over age 70 ½ (the age when required minimum distributions must start)—in Financial Planning. 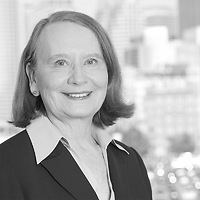 In the article, “The IRS attack on illiquid IRAs,” Natalie notes that the IRS has long believed that there is substantial noncompliance with minimum distribution requirements, and starting with the 2015 versions of Form 5498 and Form 1099-R, due in the first half of 2016, IRA custodians must reveal the presence of hard to value assets and the asset type. “Regardless of what past practices may have been, all IRA owners and sponsors should be prepared to support their valuations of non-publicly traded assets with professional appraisals,” said Natalie.